Northam Wore Blackface in College. Therefore What? Democrats, Republicans and the media finally agree on something: Virginia Gov. Ralph Northam is a racist, and he should resign because of a medical school yearbook photo 35 years ago showing he either wore blackface, or a Klan outfit. We couldn’t have asked for a more punch-able villain. Northam ran a despicable ad against Ed Gillespie attaching him to Trump as a racist. In another ad, he called the president a “narcissistic maniac” who would bring hate to Virginia. He defended a bill that allowed for an infant’s life to be snuffed out after birth. And after torrential bipartisan skewering over the blackface-Klan photo, Northam apologized, then denied he was in the photo, then admitted he put on shoe polish to imitate Michael Jackson, and would’ve moonwalked during a press conference had his poor wife not stopped him. So, yes, Northam is ripe for the picking. My issue with this whole blackface-Klan story is the “therefore what?” part; what many among the lethal mob of race-baiters are making of it. They work tirelessly to scrounge up any amoeba-sized evidence that supports a decrepit narrative that white supremacy still oppresses blacks in America. Northam’s dusty old medical school picture is proof, they say, that not only is the governor a racist (which he most likely is not), but that debilitating racism is still alive and well in America. What the pathological race cult makes of things like this does far more damage to race relations than some dumb photo that a college kid took in stupid fun decades ago. Scavengers of eternal race grievance didn’t miss the chance to excavate deep racial wounds to bludgeon miscellaneous whites, Republicans, and Trump, to remind us – ad nauseam – about how putrid America’s DNA is. Race relations are so good in America that it’s no longer about the water hoses, the lunch counters, legal segregation or separate fountains – stuff you can actually do something about. We’re now reduced to listening for dog whistles. Aside from 50-year-old slogans stolen from the Civil Rights Movement, there’s not much new in today’s America that points to real oppression, so they dredge up all the old stuff to draw conclusions that have no relation to the way we actually live. 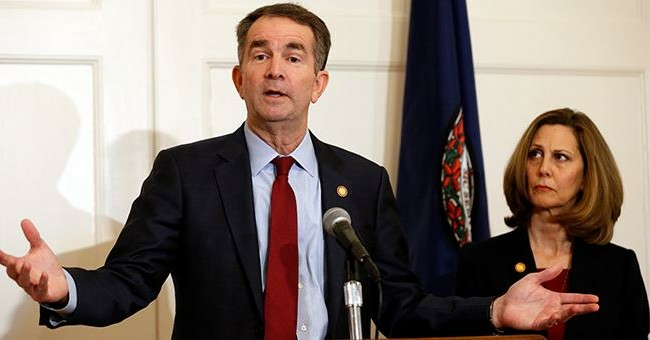 “[Blackface plays and] Northam’s racist photo show us the centrality of amateur blackface minstrelsy to American cultural life and universities,” wrote Rhae Lynn Barnes, an assistant professor of American cultural history at Princeton in a Washington Post opinion piece on Saturday. They show how persistent white supremacy power structures remain? Really? I have a question Ms. Assistant Professor: Do the “privileged” white people who gave their blood, reputations and lives to abolish slavery and discrimination over the past centuries get lumped in with the white supremacist crowd? Slavery could never have been abolished without the “concentrated political power” of white men who were stirred to action by countless everyday white men risking their livelihood, families and death to free blacks, for no other reason than that it was the right thing to do. Does that count? Jim Crow laws, a curse on the South, could not have been repealed were it not for the “legislative commitment” of white men, and men of all colors, to fight for racial equality. Why exaggerate the now-infinitesimal power of white supremacists? Why ignore color-blind white men out of existence? Their lives were real. White supremacists lost. Their cause is dead. The good guys won. The imaginary white supremacy “power structures” that Barnes writes about do not exist. I’m no fan of Ralph Northam’s. He’s become a well-deserved pariah. But long after the media and others have plucked all the flesh from his political carcass, the damage done by using his dumb yearbook photo as proof that race is still a major problem in America, unfortunately, will live on. The bond between blacks and whites in America was made sacred by all the blood shed for centuries to bring us to the real progress we have today. As impossible as it may seem, puritanical pundits and race scavengers are working tirelessly to reverse it all.